Dr. Fergus received her B.A. from Barnard College in 1988 and continued on to earn her MD. in 1992 at the SUNY Health Science Center at Brooklyn. In 1999, she completed her fellowship in cardiology at the Weill-Cornell Medical Center and joined Cardiovascular Associates. 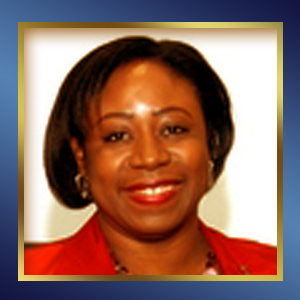 She has served as Associate Director of Echocardiography at New York Hospital Queens since 2001. She was awarded the Lang Center grant in 2001 for research involving measurement of mitral regurgitation and cardiac volumes in heart failure patients. 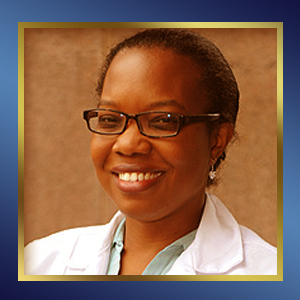 She is now the head of cardiology at Harlem Hospital Center. Dr. Jack Geiger received his M.D. degree from Case Western Reserve University School of Medicine in 1958. This was followed by a residency in internal medicine on the Harvard Service of Boston City Hospital. While during residency, he also earned a degree in epidemiology from the Harvard School of Public Health, and was a Research Fellow in the Research Training Program in Social Science and Medicine at Harvard University. In his long career, Jack Geiger has created a long list of accomplishments. Some of his many accomplishments include being a founding member and Past President of Physicians for Social Responsibility, the U.S. affiliate of International Physicians for the Prevention of Nuclear War, which received the Nobel Prize for Peace in 1985 as well as a founding member and Past President of the Committee for Health in Southern Africa. Furthermore, he was a founding member and Past President of Physicians for Human Rights, which shared in the Nobel Prize for Peace in 1998. Geiger has led or participated in human rights missions for the United Nations and the American Association for the Advancement of Science to former Yugoslavia, Iraq and Kurdistan, the West Bank and Gaza Strip, and South Africa. He also founded and directed the nation's first two community health centers, in the Mississippi Delta and in Columbia Point, Boston. These centers became models for what is now a national network of more than 1100 Community Health Centers serving some 20 million low-income and minority patients. Moreover, he has been the author or co-author of more than 100 scientific articles, book chapters and monographs on topics including community-oriented primary care, health care and poverty, community health centers, medical education, the health and environmental consequences of nuclear war and nuclear weapons production, and the role of physicians in the protection of human rights. In recognition of his work on racial and ethnic discrimination in health care, the Congressional Black, Hispanic and Asian American Caucuses have created the H. Jack Geiger Congressional Fellowships on Health Disparities for young minority scholars. He has also received the Institute of Medicine.s highest honor, the Lienhardt Award for "outstanding contributions to minority health." 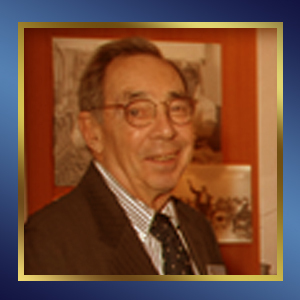 Dr. Geiger currently serves as the Arthur C. Logan Professor Emeritus of Community Medicine for the City University of New York Medical School. Mekbib Gemeda currently is the Assistant Dean for Diversity Affairs and Community Health and the Director of the Center for the Health of the African Diaspora at New York University School of Medicine. 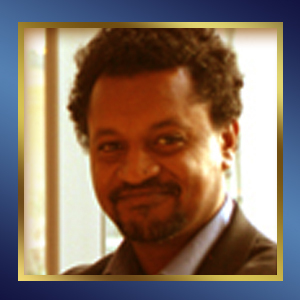 In addition, he serves as co-chair of the Dean's Council on Institutional Diversity. Such positions have allowed him to develop programs and initiatives to increase diversity among, students, residents, faculty and the leadership and in developing pipeline programs along with leading initiatives to expand cultural competency education across the medical center. Before coming to NYU aided in the development of a NIH supported biomedical research center and a nationally recognized faculty and graduate student recruitment and retention program at Hunter College of the City University of New York. He was also involved in developing the largest national online network of minorities in science, justgarciahill.org. Dr. Holden attended Temple University School of Medicine and completed her residency in Emergency Medicine in 1995 at the Albert Einstein College of Medicine-Jacobi/Montefiore Emergency Medicine Residency Program in the Bronx, NY. For the past six years, Dr. Holden has served as a Co-chairperson of the Admissions Committee at the Albert Einstein College of Medicine and as Montefiore Residency Site Director of the Jacobi-Montefiore Emergency Medicine Residency Program. Holden is also the coordinator for the Emergency Department Clinical Exposure and Mentoring Program.